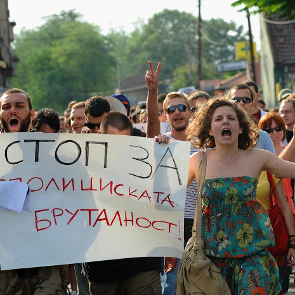 Human rights defenders (HRDs) in Macedonia are facing physical attacks, threats, verbal assaults and stigmatisation. Both state media and pro-governmental organisations carry out malicious defamation campaigns which damage the lelgitimate work of, and give rise to a negative perception of, HRDs among the public. HRDs are branded as ‘state enemies’ because of their reporting on state violations of human rights law, especially when they address issues related to corruption, civil and political rights, notably in areas formerly affected by the conflict. Defenders working on minority issues, such as ethnicity, religion, sexual orientation, and gender identity are at particular risk, as are HRDs working in remote areas outside of the capital city. There is a trend of state control of media, as well as targeting journalists critical of government, resulting in self-censorship and an increasingly biased media landscape. While freedom of association is generally respected, HRDs defending the rights of textile workers in provinces and small cities frequently face limitations of the freedom of association. In several cases, textile workers and members of unions from factories across Macedonia have been forbidden to organise and were not allowed to strike. Apart from the active work of HRDs in the areas of corruption, democratisation, labour, and women’s rights, there is a growing movement addressing the rights of persons with disabilities and LGBTI rights.